Long the most well-known feature of our solar system's biggest planet, what is this gigantic, crimson oval and is it about to disappear? When you're caught in a summer rainstorm for an hour at a picnic and forced to huddle under one of those little pavilions, those sixty minutes seem to last forever. But what if the storm lasted all day? Or even a week? Or a year? What if the storm lasted for centuries? Well, that might be the case if you were having your picnic on the planet Jupiter. A large, red oval that can be seen in the southern hemisphere is evidence of a gigantic storm taking place there with wind speeds in the hundreds of miles per hour. A storm that has lasted for centuries. -Location: Southern Hemisphere of the Planet Jupiter. -Discovery: Not known for sure. 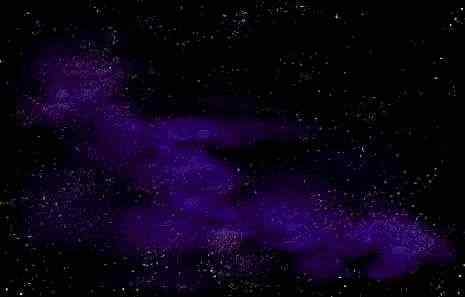 May have been observed by Robert Hook or Gian Domenico Cassini in the late 17th century. -Size: Between 15,000 and 25,000 miles (24-40,000 km) in length and between 7,500 and 8,700 miles (12-14,000km) in width. -Wind Speeds: 270 miles per hour (432 km/h) at the outer edges. -Age: Unknown, but has persisted for somewhere between two and three and a half centuries. -Type: It is an anti-cyclonic storm, moving in a counterclockwise direction. -Other: Appears to be shrinking and may someday disappear. We know for sure that the spot has existed much as we see today since 1878 when American astronomer Carr Walter Pritchett observed it using the Pritchett Institute's 12-inch refractor telescope. There are indications, however, that its discovery may have proceeded Pritchett's observations by at least a century. In 1831 German astronomer Samuel Heinrich Schwabe made a drawing that seems to show if not the spot itself, then the gap around it. Even further back at the end of the 17th century, Gian Domenico Cassini, the Italian astronomer, noted a "permanent spot" on the planet that might be an early observation of the massive storm. 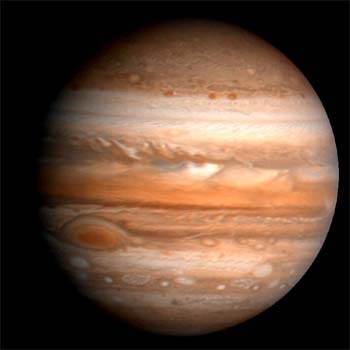 English astronomer Robert Hook also mentioned a spot on Jupiter he saw in 1664, but some scholars believe he was actually observing a shadow of a moon in the northern hemisphere. Cassini, however, never mentions the spot as being red. This maybe because the low power of his telescope may have not permitted him to distinguish the color. It's also a possibility that the spot may have been white at the time (like most of the smaller storms on Jupiter are). There is also a chance that he could have been looking at another storm completely that disappeared in the 18th century and returned later as the disturbance we know today. So, the spot is at least a century and a half old and quite possibly more than double that. We also know that as long as it has been observed, it has stayed very close to the same latitude (22� south of Jupiter's equator) but has changed its position longitudinally (east to west). The spot stays at the same latitude because of the planet's winds. There are jet streams moving past it toward the north and south. The southern stream rushes eastward and the northern stream moves to the west. The storm seems to be trapped between the two. About how much movement the storm has made longitudinally is hard to say. Because the planet is almost entirely gas, it does not rotate at the same speed at every latitude. Even so, scientists believe that the spot has 'lapped' the planet at least 10 times since the early 19th century. The disturbance itself is an anti-cyclonic storm. This means that since it's in the southern hemisphere, it moves in a counterclockwise rotation around a high pressure system. On Earth such storms are associated with cold weather. This also seems to be the case on Jupiter as infrared measurements have shown that the Great Red Spot is colder and higher in altitude (about 5 miles or 8km) than the other clouds on the planet. The storm is immense in size and at one point could have contained three objects the size of planet Earth. The size has changed over time with a length (east and west) of between 15,000 and 25,000 miles (24-40,000 km) and a width of between 7,500 and 8,700 miles (12-14,000km). The storm, because of its large size, takes 6 Earth days to make one rotation, though the winds at the outer edges of the storm are moving at a blistering 270 miles per hour (432 km/h). The wind speeds toward the center of the storm are lower and in the very center the winds actually reverse and turn slowly clockwise. Why is the Great Red Spot red? Scientists are not really sure, but it may be because the gases in it contain materials like complex organic molecules, or red phosphorus, or some other unknown sulfur compound. Why these compounds show up so much in the spot's clouds are unknown, but there is some speculation that the storm is large enough to drag materials up from the lower levels of the planet's atmosphere that are not usually exposed to the sun. The spot's color isn't consistent either. It varies greatly in hue, sometimes appearing as almost a brick red. At other times it can be pale salmon, or almost white. The Red Spot is located in Jupiter's southern hemisphere. How has the spot managed to stay stable for hundreds of years when even the largest storms on Earth seem to die out after only a week or two? One of the reasons maybe because if Jupiter has a solid core (and some scientists argue it does not) it is deep down under thousands and thousands of miles of gas. Most big storms on Earth peter out when they drift over land. 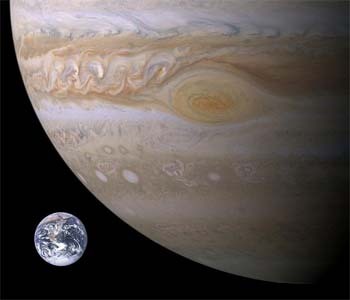 Since Jupiter (for all practical purposes) has no land, storms may stay stable for an extended length of time. Even so, scientists running computer simulations of the storm have felt a lifetime of several centuries still seems too long . In 2013, however, researchers Pedram Hassanzadeh and Philip Marcus developed a new computer model of the spot's motion. The model takes into consideration not just the horizontal flow of the winds, but also the vertical ones. Hassanzadeh and Marcus believe that these vertical flows move hot and cold gases in and out of the system, restoring part of the storm's energy. Their model predicts that the Great Red Spot might survive as long as 800 years. There are some indications in recent years that the great storm may be subsiding. It is half the length it was a century ago and has lost 15 percent of its diameter just between 1996 and 2006. It's hard to tell, however, if this is just part of a regular fluctuation of the spot, or a definitive trend. We do know that someday the great storm will come to an end. "It's just a storm that," says Glenn Orton, a senior research scientist at NASA'S Jet Propulsion Laboratory, "like many things, has a natural growth and disintegration rate."